Deke Sharon, author of The Heart of Vocal Harmony, shares his insight on a cappella and how groups need to feel instead of constantly focusing on the technicality of it all. He is a world-renowned arranger and producer with television credit’s Pitch Slapped and The Sing Off in addition to movie credits for Pitch Perfect, Pitch Perfect 2. 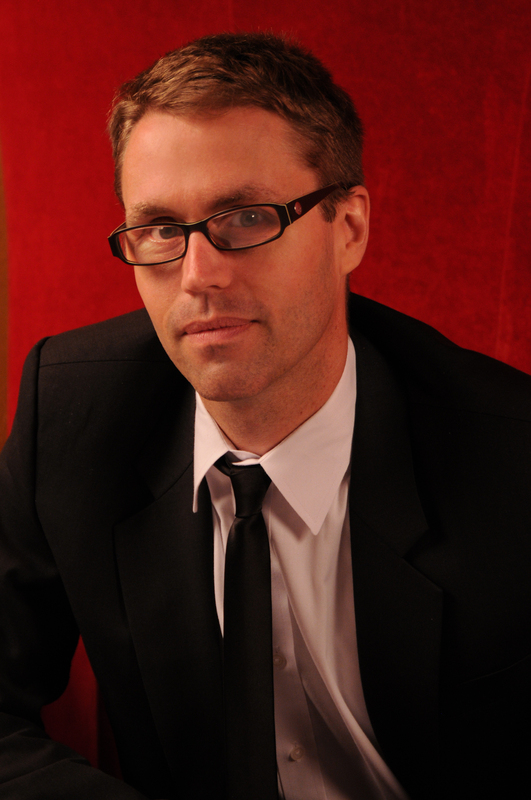 Deke Sharon has been heralded “The Father of Contemporary A Capella” and he is passionate about music. The goal with tis latest book is to inspire groups to take that extra step with their vocals. It goes beyond being a great singer and sounding ‘pretty.’ What emotions an you exude to your audience? What can you do to make a difference in their lives? He has said that the difference between a rehearsal sounding great on one day and then horrible on the next has to do with emotion. Most rehearsals spend time focusing on notes, rhythms, and precision. There is too much focus on the musical and vocal techniques and not enough on the emotional technique. This book is like no other a cappella book that has been released. Most of the other a cappella books have been about teaching people how to sing technically well. The Heart of Vocal Harmony focuses on the process of delivering an emotionally compelling performance. His previous book A Cappella Arranging was instructive, providing insight on how to create the music, this book turns those notes into passion. it is also for vocal harmony groups, ensembles, and choirs atall levels, with or without instruments. In addition to the process, the book features discussions with some of the biggest luminaries in vocal harmony: composers, arrangers, directors, singers, and groups – including Eric Whitacre, Pentatonix, the Manhattan Transfer, and more! Figure out how can we consistently create music on stage that inspires and transforms an audience. Dave will be the vocal orchestrator for the first ever a cappella Broadway musical, In Transit, debuting this November. Meet Deke Sharon, the man behind the current a cappella revolution, vocal arranger for Broadway’s first a cappella musical, In Transit, coming this fall, and author of the new book, The Heart of Vocal Harmony. Deke spoke with Jacki Lyden, host of weekends on All Things Considered, about how he got involved with a cappella, how it’s changed, and his time with the actresses of the hit movie, Pitch Perfect! Listen to the interview below! Most choirs spend their rehearsal time focusing on notes, rhythms, and precision. They rarely, if ever, discuss a song’s meaning and feeling, even though those elements are precisely what draws people to the music in the first place. Thousands of books have been written about choral technique, teaching people how to sing technically well. What sets The Heart of Vocal Harmony apart is its focus on honest unified expression and the process of delivering an emotionally compelling performance. It delves into an underdeveloped vocal topic – the heart of the music and the process involved with expressing it. The Heart of Vocal Harmony is not just for a cappella groups – it is also for vocal harmony groups, ensembles, and choirs at all levels, with or without instruments. In addition to the process, the book features discussions with some of the biggest luminaries in vocal harmony: composers, arrangers, directors, singers, and groups – including Eric Whitacre, Pentatonix, the Manhattan Transfer, and more! If you haven’t heard of Deke Sharon, then you will now! Deke Sharon, author of the book A Cappella Arranging, and vocal producer in the movie Pitch Perfect, is making waves over in New Zealand and pretty much everywhere else in the world. A Cappella became cool again with the help of hit movies Pitch Perfect, Pitch Perfect 2, and with TV shows such as ‘The Sing-Off’. Deke was recently in New Zealand to help out a local choir group, click on the link below to learn more! Deke also has an upcoming book called, The Heart of Vocal Harmony, due out in the Fall! We’ll keep you updated! Guest Blogger: Deke Sharon, author of A Capella Arranging. Enjoy the following excerpt from his blog, CASA. In most fields, having a community that’s relatively very educated and Western-minded leads to an increased level of productivity and success. However, the current contemporary a cappella movement, largely born out of East Coast elite collegiate a cappella circles, might also be hindered by the very same element and perspective. When it comes to science, math and medicine, an exacting precision is essential. In the fields of economics and law, great consideration, research and care are all needed before action is taken. You cannot get better at performing by thinking about it. You cannot become a better singer by studying vocal pedagogy texts. Cerebral pursuits are without a doubt valuable, but the average Ivy League grad is likely already as cerebral as she needs to be to embark on an a cappella career. There’s a deep, strong current that runs beneath our best Universities, and after drinking four years from the aquifer, we graduate a class of young, eager minds who all share a common perception: the belief that they are excellent. Personal mythologies are essential to us all, bolstering our resolve in difficult times, and allowing us to forge our own paths when prudence suggests the road more travelled. But the myths have changed over the generations, and there seems to be an increased belief in one’s current self as the core mythology as opposed to the belief in one’s self in the future. Guest Blogger: Deke Sharon, co-author of A Capella Arranging with Dylan Bell, talks about The Bobs on his blog at CASA. One of the problems within popular music is the alarmingly short public memory toward legends. I remember being upset that no one was paying any attention to Ray Charles, one of my idols, throughout the 80s. Thankfully, the public rediscovered him, but the world’s stages are full of musicians who deserve more focus than they’re getting today. None more than The Bobs. In the early 1980s, there were very few professional a cappella groups, and many of those had a sound and style reminiscent of doo wop. Not so when Gunnar Madsen assembled some singers from the Western Onion Singing Telegram Company and searched the local scene for a bass (which they found in Richard Greene, best known to locals as the voice behind the “Fall in-to the Gap” radio ads. The quartet was offbeat and perhaps even off-balance, with 3 guys and 1 woman (an unusual combination, even today) plus a small synthesizer in their early shows at the Great American Music Hall. Doesn’t sound like an a cappella group, does it? That’s because they didn’t care. It wasn’t about trying to do something that had been done, but rather blazing their own path in a music scene (think new wave and early 80s pop) that was coming to terms with the integration of technology into music. Guest Blogger: Deke Sharon, co-author of A Cappella Arranging, shares some insights on forming a successful a cappella group. Visit his blog for the full list. Got a note from an ambassador wanting to take his region to the next level. He’s got multiple a cappella festivals, a harmony sweepstakes, ICCAs… but knows that a city’s reputation starts and ends with its local groups. Yes, everyone in your group must be able to sing well, but not all of them need to be amazing soloists. What do I mean by “amazing soloist”? A lead voice so compelling you would buy this person’s solo album: Jeremy Lister. Scott Hoying. Margareta Bengtson/Jalkeus. Jerry Lawson. The group can share solos, but you need at least one person whose voice is world class. You’ll have an easier time building a blend if you create a group around similar voices, but it’s definitely not necessary. You can be Take 6 or you can be Straight No Chaser. Both are winning formulas. After the soloist, the second loudest element in all popular music is the bass. That’s how it should be in your group’s mix as well, and that voice should be as low and as powerful as possible. The octave pedal can work, but if your group name isn’t a palindrome (hello, Sonos! ), I don’t like your chances. Not every contemporary group features vocal percussion. If you’ve got one, great. If that’s not part of your sound, not a deal breaker. Yes, it’s excellent if your group has a new sound or approach, but I have to admit, there are plenty of bios boasting a sound and style unheard ever before in a cappella, and most fall short. Don’t tell the world you’re different. Show them. Don’t focus on being amazingly different. Just be amazing. Not convinced? Nothing about Pentatonix on paper looks much different from many other groups. There’s no huge fundamental concept behind it all, but the way they do what they do has indeed become revolutionary, and inspired millions. Keep reading on Deke Sharon’s blog!